Hurray for the Riff Raff’s Alynda Lee Segarra considers herself a feminist from an early age, having noticed, even then, the violence and oppression that women face in society: “I always felt the need to fight against it and rebel against it ever since I was a little girl." Yet that didn’t mean she could readily identify with the feminist label. There was a latency period in which she understood feminism to be a mainstream movement created by and for white women. And as a Bronx-born woman of Puerto Rican descent, she didn't fit the narrative. One such example of this learning curve is the influence of Julia de Burgos on Segarra. The poet's life and work has been the subject of renewed scholarly interest in recent years. In Becoming Julia de Burgos: The Making of a Puerto Rican Icon, Vanessa Perez Rosario elevates the often tragic figure of Burgos into a cultural icon for feminist, Nuyorican, queer, and transnational artists who find inspiration in her story of migration and to another extent, liberation. For Segarra, who identifies as queer and who left home at a young age to travel the country on freight trains, Burgos is a symbol of this longing for independence and poetic transcendence. Alynda Segarra has also been learning about the activist work of the New York Young Lords during the 1960s and 70s, calling specific attention to the women that worked at the forefront of the organization. 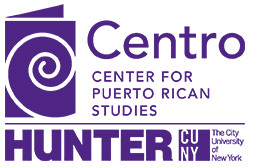 In his book, The New York Young Lords and the Struggle for Liberation, Darrel Wanzer-Serrano explains how women worked their way into positions of leadership, forcing the Young Lords Party to become more inclusive and evolve past the typically machista attitude held by activist organizations during this time period. The legacy of these women is one that Segarra now recognizes as her own, acknowledging, “Okay, we all have a place in this struggle." As a result, intersectionality has paralleled Segarra's success and growing platform as an artist. She is often asked in interviews to speak about her Puerto Rican background, which she has described in the past as a “tokenizing experience.” In 2015, it led her to write an op-ed encouraging folk musicians to address more topics relating to social justice, while also asserting her place in folk music as a Puerto Rican woman. Which is why lately Segarra has decided to broaden the scope of her interests in Puerto Rican history and immerse herself in what she refers to as ‘Latino excellence.’ That means reading authors like Junot Díaz and studying the life of an artist like Frida Kahlo. Segarra has also been revisiting old Fania recordings of legendary artists such as Joe Cuba, Willie Colón, and Héctor Lavoe, to name a few. She shares a personal connection to this generation of Latin music pioneers: her father was a Latin jazz musician. These new influences were recently channeled into an upcoming concept record entitled The Navigator. “It’s a lot about growing up in the city, it’s a lot about city life, city struggle. A lot about what happens when people of color are demonized and pushed out of a city they call home,” she explains. In doing so, she’ll be echoing her own narrative as a Bronx native, with gentrification threatening many of the borough’s longtime residents. And with Nosotros Fest in November, Segarra will take things one step further by launching an event that invites "Latinxs of all backgrounds to come together in the name of art, expression, and protest." The festival is also her response to the anti-Latino rhetoric that has formed part of the presidential election cycle: “I knew what I was against, but I wanted to be for something,” she says. And so like the Puerto Rican feminists that came before her, Segarra is finding her voice within the struggle and doing what she can to honor that legacy in the process.